Shot for promotion of DeNada Dance production Ham & Passion. 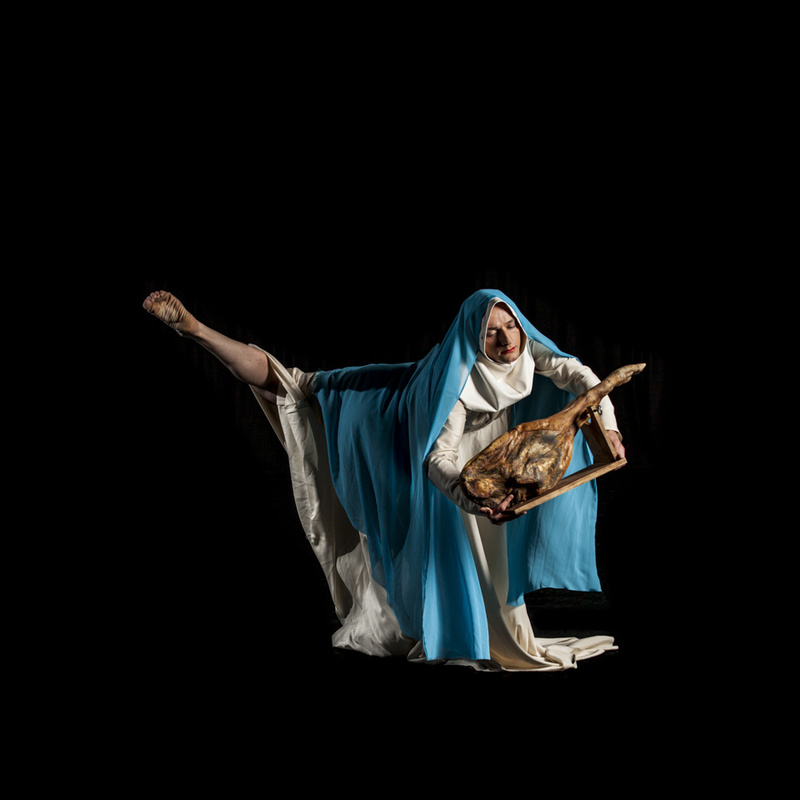 Not often you get to shoot a male dressed as the virgin mary with a Jambon leg. Great fun!